Congratulations to Chapelgate Christian Academy’s Ryan Jordan who had the honor of playing on the Maryland Interscholastic Athletic Association’s (MIAA) all-star team. The MIAA played in the “President’s Cup” against a squad made up of Baltimore City Public School players. The game was played on June 5, 2018 at Camden Yards. Ryan was a pitcher and second baseman for CCA’s Baseball team. The MIAA team included players from the “B” and “C” conferences, and it played a no-hit shutout against the Baltimore City team. Ryan shared some of the pitching duties in the 11-0 victory. Ryan described the game as, “A dream come true.” He struck out four batters in two relief innings. Ryan was part of the MIAA team’s dominant pitching — Baltimore City struck out 16 times Tuesday. The all-star game was created by Baltimore City Council President Bernard C. “Jack” Young and held its inaugural game in 2011. Young, as well as Baltimore Mayor Catherine Pugh, were on hand Tuesday, and presented the championship trophy to the MIAA squad after the game. Come out and Support CCA Chic-fil-A-Night! Fun night of Alumni Volleyball! 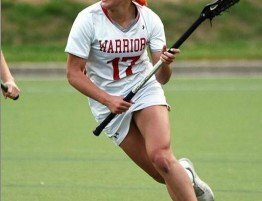 Congratulations to Emma Rufolo (CCA ’15) who was chosen as an All-American for women’s lacrosse.